You will need a large, medium-depth serving tray to layer the dip in. Bake the Totino's Pizza Rolls™ so they're hot and ready when the field is assembled. Start the first layer off with refried beans. The add some graded cheese to the top of the beans for extra flavoring. Next layer is guacamole for the grass. Spread it evenly on top of the cheese.You’ll need a lot to cover a whole “football field” so make sure you get a lot of avocados! Once the “grass” is laid down fill in the end zones and create the yard lines with sour cream. When the field is complete you’ll need players! 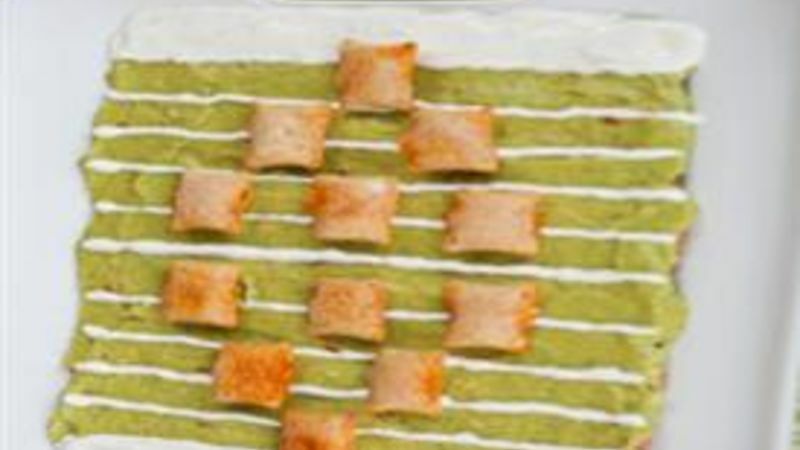 Place the Totino’s Pizza Rolls™ in any flavor and place them on the field as players.